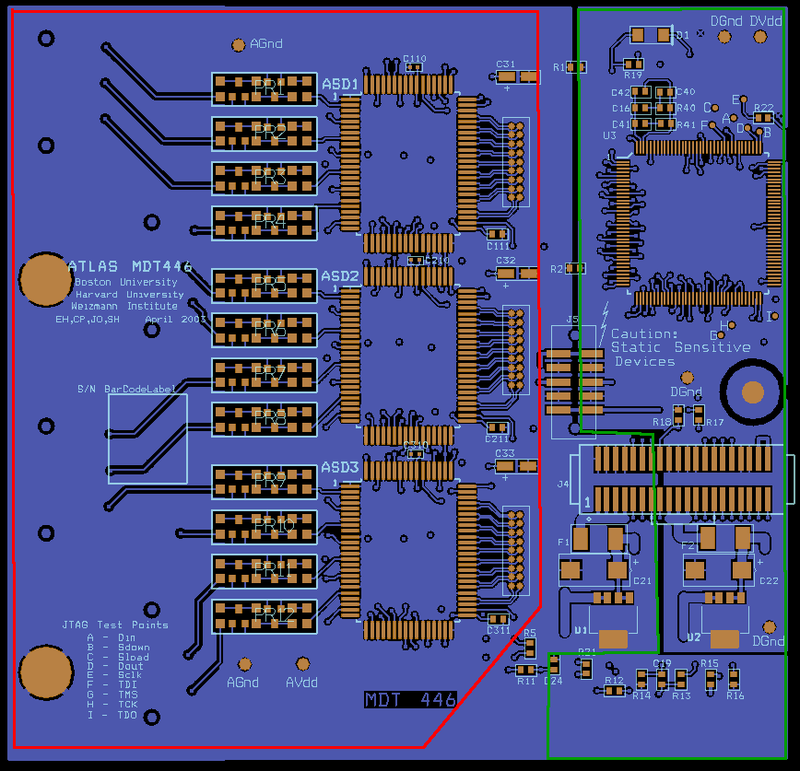 This page documents a new mezzanine card design for ATLAS MDT chambers. 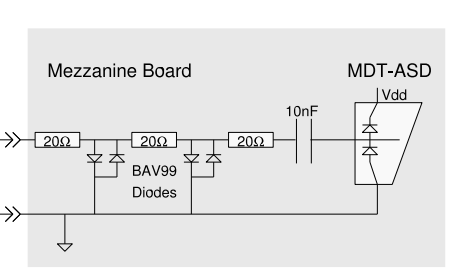 This mezz card will use the original BU/Harvard MDT-ASD chips and new TDC ASIC developed by the University of Michigan. If You look at the 40-pin connector, the *p and *n lines are swapped compared to the MDT316 card. Guessing that 9, 10 were sent to U of M on 2/6/17. S/N 7 was sent to AZ and damaged in shipping. Repaired by Chris, but uC programming connector J400 is irretrievably damaged. Referencing ​drawing, place/route in red (analog) area should be kept as close as practical to the original layout. The green (digital) area may be expanded as suggested to fit new voltage regulators (VR3, VR4) which should go in the digital area.